Ernst, D.K., Chintamen, S., Dickens, M., Calisi, R.M. 2019. Differential influence of captive housing environments on zebra finch stress and physiology. 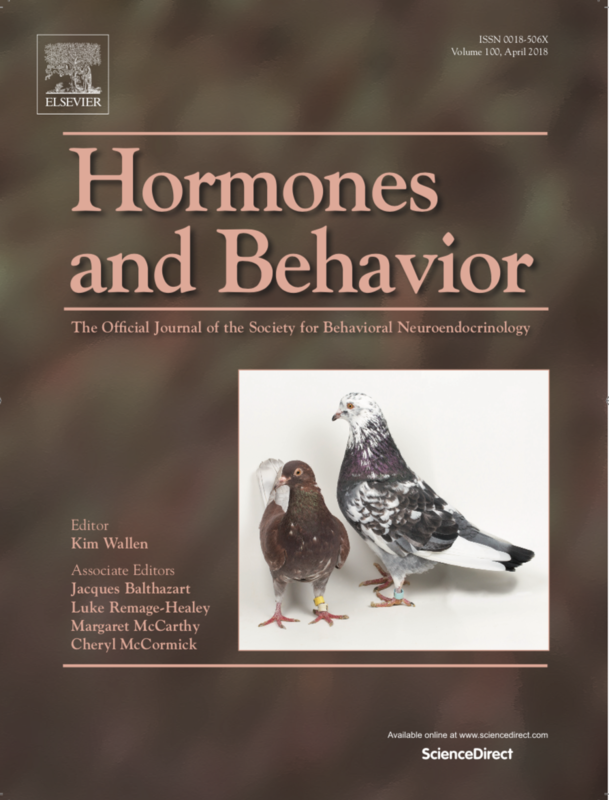 Hormones and Behavior (under revision). Ligocki, I.Y., Munson, A., Farrar, V., Viernes, R., Sih, A., Connon, R.E., Calisi, R.M. 2019. Ecologically relevant concentrations of bifenthrin affect the expression of estrogen and glucocorticoid receptors in brains of female western mosquitofish. Aquatic Toxicology. 209:121-131. (pdf). Ondrasek, N.R., Freeman, S.M., Saldana, E., Orellana Bonilla, I., Bales, K.L. and Calisi, R.M. Nonapeptide receptor distributions in promising avian models for social neuroecology. Frontiers in Ecology and Evolution. doi: 10.3389/fnins.2018.00713 (pdf). Calisi, R.M. 2018. Got milk, must conference. Science. (pdf). Calisi, R.M. and a Working Group of Mothers-In-Science. 2018. How to Tackle the Childcare-Conference Conundrum. Proceedings of the National Academy of Sciences. (pdf). Working Group members: ,Austin, S.H., van Anders, S., Bauer, C.M., Beery, A., Benedict, L., Bhalla, N., Bonier, F., Brady, S.M., Breuner, C., Caporale, N., Combes, S., Crofoot, M.C., Dickens, M., Duffy, M.A., DuRant, S.E., Ernst, D.K., Gibson, E.M., Giusti, P., Glasper, E., Hill, T., Lattin, C.R., Lopes, P.C., Lynn, S.E., Malisch, J.L., McAllister, K.A., Nelson, R.G., O'Brien, S., O'Connell, L.A., Perfito, N., Porter, S., Rangel, L.M., Reynolds, P.L., Riters, L.V., Rosenblum, E.B., Rosvall, K.A., Seelke, A.M.H., Siegel, S., Swann, N.C., Teal, T.K., Vignieri, S., Weinstein, A.M., Walker, D.M., Word, K.